In every office, there should be one item that consistently grabs the attention of everyone who walks by. If you have a large open space in your hallway, or your conference room is looking a little empty, consider a printed wall mural. 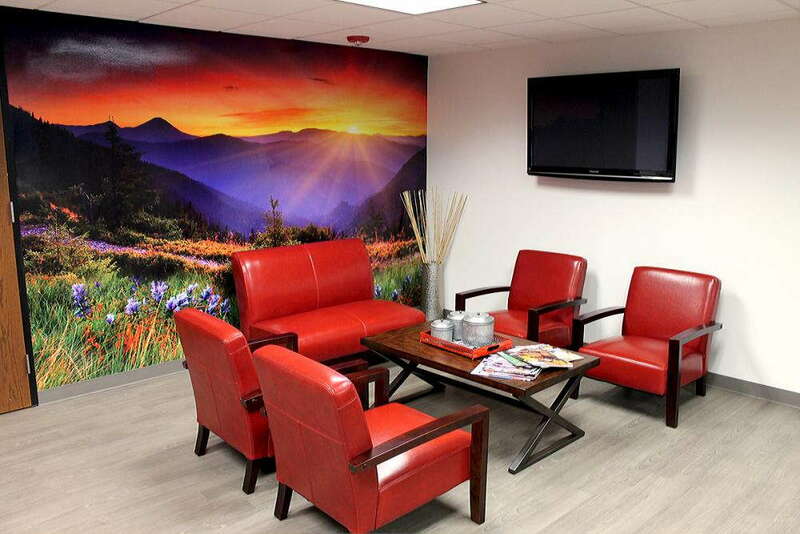 SpeedPro Imaging North Kansas City will work with you to create a customized vinyl wall mural that’s both brand effective and visually stunning. If you’re not sure how to get started, don’t worry — just give us a call! From there, our team will set up a consultation with you, where we’ll get to know one another and understand what your brand should look and feel like. We’ll create some designs, get the approval from you, and voila! Just like that, you’ve got an eye-catching wall mural for your business. Our studio serves the metro Kansas City area, so if your business or organization is located nearby, let’s start a new partnership! One of the first steps in adding a large format wall mural to your office is determining where it should be located. If your lobby sees a lot of foot traffic and doesn’t have much decoration, it’s a great spot. A lobby will be the first place a new customer walks through, so having a large representation of your brand can greet them and invite them in to do business. Maybe there’s a main hallway in your office or building that people pass through to get to a more central location. Lining it with a vinyl wall mural will attract the eye and bring some life to that bare and lonesome walkway. You might not even need a wall mural to conduct business with customers. Sometimes instead, you need to remind your team of employees the image and brand of the company you represent. Decorate a conference room with an expansive wall mural. When you conduct meetings or hold gatherings, your employees will see this art and be reminded daily of who you are and what you set out to do in your work. 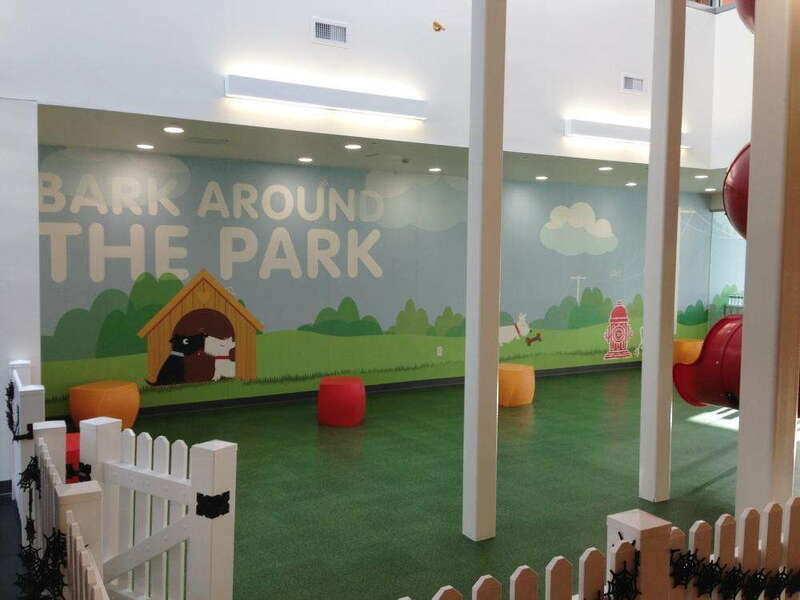 Wall murals are perfect branding products for businesses because they’re built to last. Our vinyl material is strong and durable, with fade-resistant inks printed on. The adhesives we apply become more permanent the longer they’re intact, ensuring your mural will have a long life and residency in your office. Our team will not only craft a stunning visual solution for your brand but also find a creative and unique way to do so. 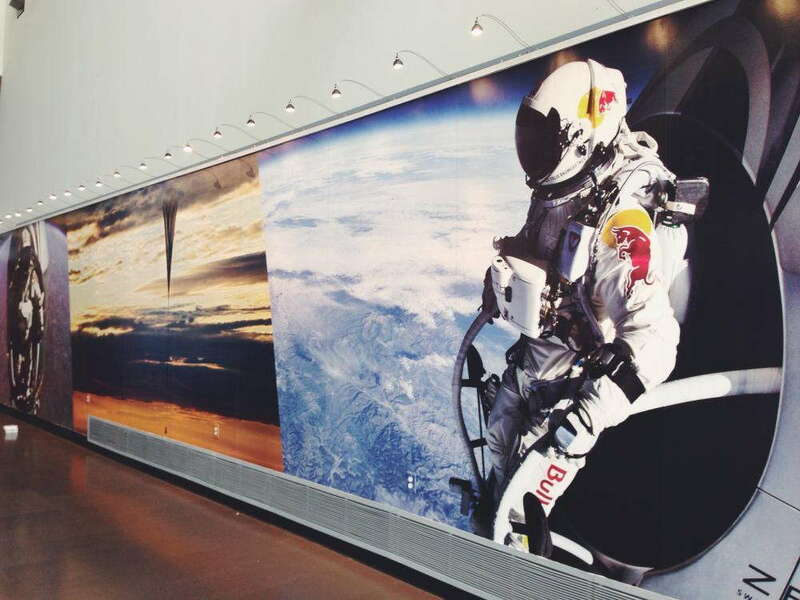 Whether you’re looking for one large, encompassing wall mural or a dozen smaller murals combined to create a powerful image that intrigues customers, SpeedPro Imaging North Kansas City has you covered. If you’re looking to bring more life to your office for your customers and employees, contact us today. We’ll set you up right away with a consultation to begin making a new printed wall mural for your business’s needs!